When the summer monsoon season moves into Arizona, it many times can find its way over into the Las Vegas Valley, which in fact is a basin. The distinction is meaningless to most people, but a valley has numerous outlets for water runoff. A basin does not. The only place water has to go when it falls anywhere in the greater Las Vegas area ultimately is the Colorado River. That means flash flooding is a serious concern for many people and especially those who do not have the right kinds of insurance coverage. Homeowners insurance will protect against a lot of perils, but external flooding isn’t one of them. If it comes through the door or windows, there better be flood insurance to cover it. A homeowners insurance policy generally just has insurance protection for internal flooding, as might happen when a water heater ruptures and no one is around to shut off the water supply. Because internal flooding mostly is under the control of homeowners, insurers can better assess risks and underwrite coverage. 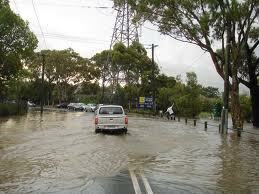 But when the flooding is external, the cause is Mother Nature most of the time, and no one controls Mother Nature. As many homeowners near Mt. Charleston learned last year, mud slides and landslides can be very destructive and excluded without an additional insurance endorsement on a homeowners policy. With the many steep hills and mountains in the area and the potential for wildfires as well as flash flooding, mudslides and landslides can be a real danger to local homes and require additional coverage. Standard homeowners insurance for the most part covers everything from the walls on in for a home and some external structures. When it comes to Mother Nature, a lot of her perils need special protection. Does your homeowners insurance protect against external flooding and land movement?